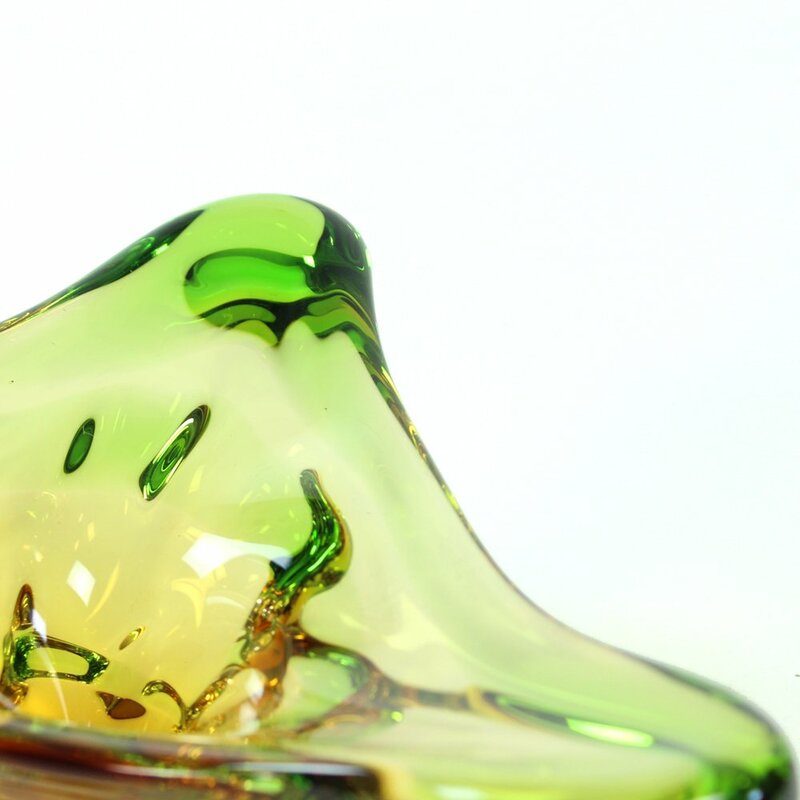 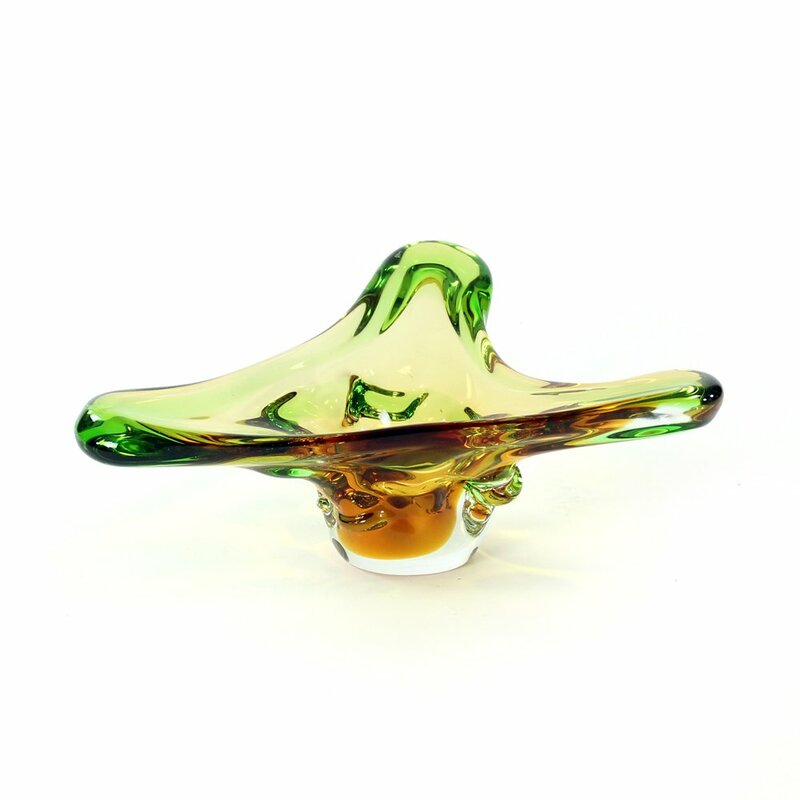 Impressive art glass bowl designed by Frantisek Zemek as a part of his Niagara collection. 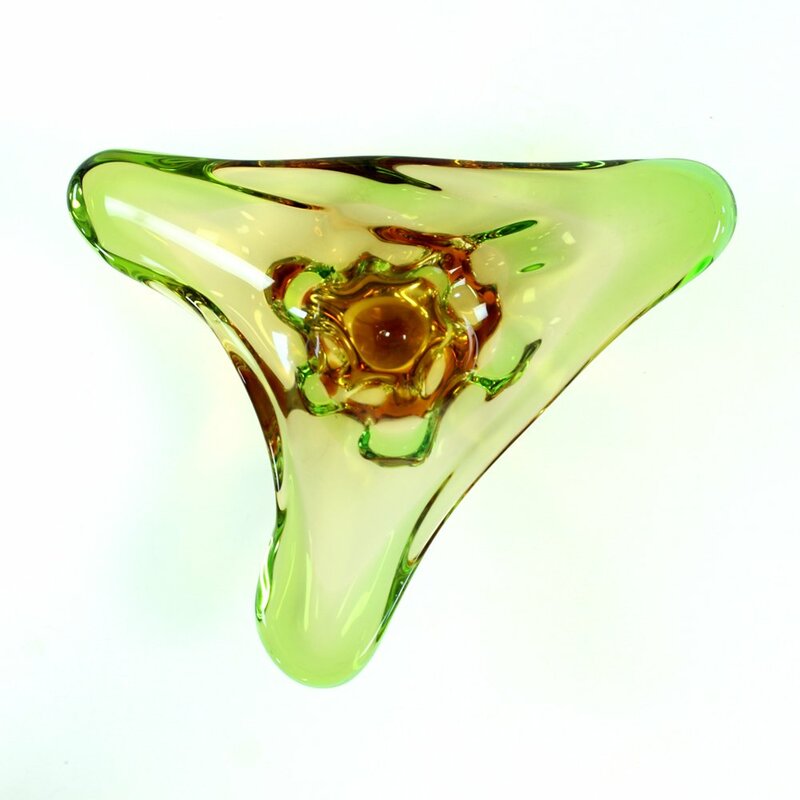 Produced by Glass factory Mstisov in Czechoslovakia in 1960s. 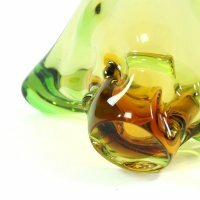 The Niagara collection designed by Zemek was inspired by the rumblings of water falling under the aterfall. Zemek put the water into multicolored art glass. 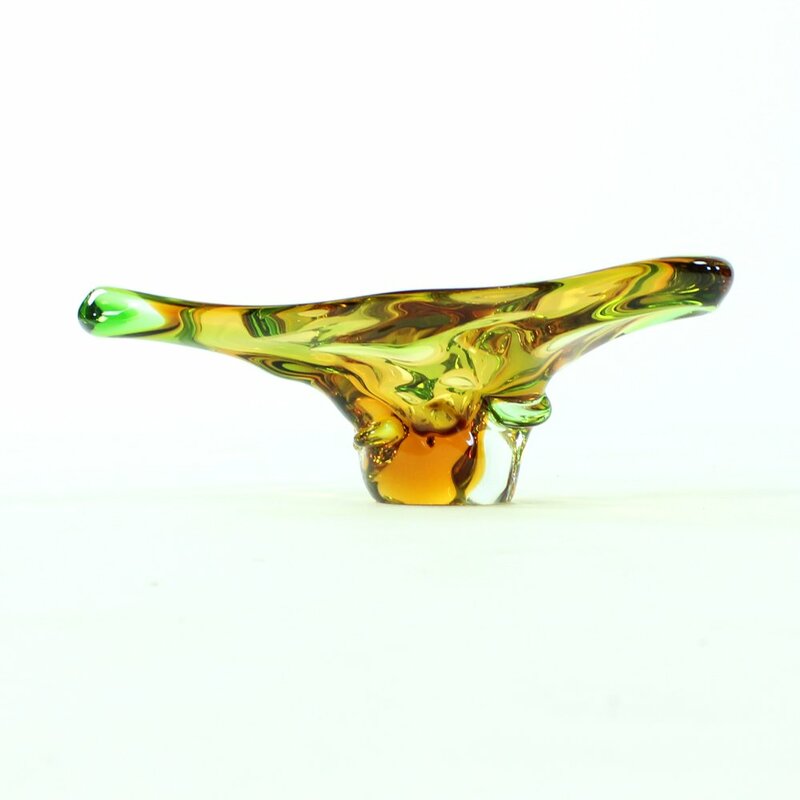 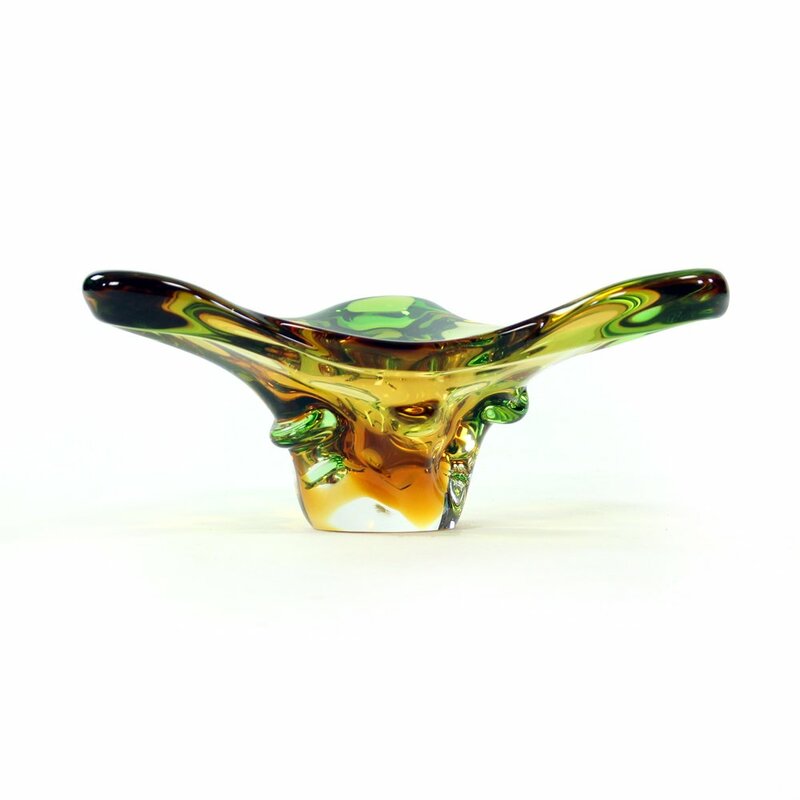 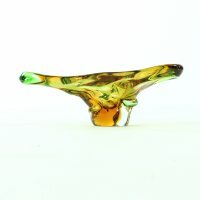 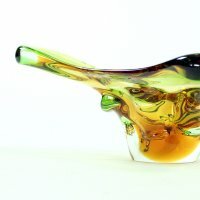 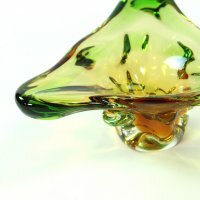 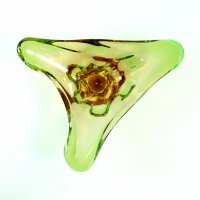 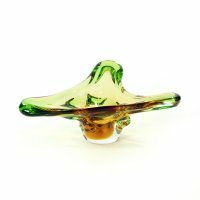 This glass bowl is in amber and emerald glass. Beautiful piece in excellent condition.